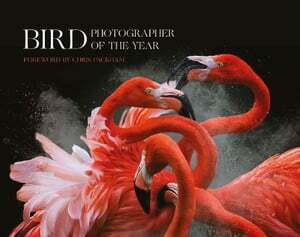 This beautiful book accompanies the photographic competition celebrating some of the best bird photography of 2018. The book includes the winning and short-listed images from the competition, now in its third year, showcasing some of the finest bird photography, with a foreword by BTO President and head judge, Chris Packham. A proportion of the profits from the book goes directly to the BTO to support their conservation work. The advent of digital technology has revolutionised photography in recent years, and the book brings to life some of the most stunning bird photography currently on offer. It features a vast variety of photographs by hardened pros, keen amateurs and hobbyists alike, reflecting the huge diversity of bird enthusiasts and nature lovers which is so important in ensuring their conservation and survival.